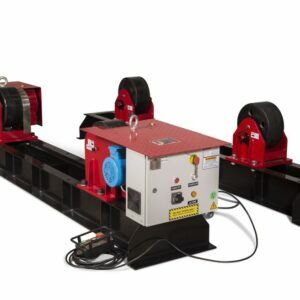 RedRock’s range of conventional & self aligning welding rotators provide an economical and practical answer to cylindrical vessel rotating and handling problems in Dubai and the UAE. 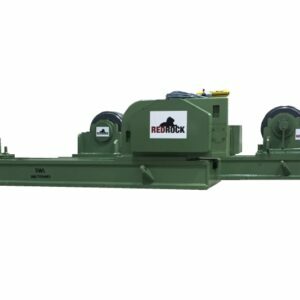 Welding rotators are similar to positioners, in that it’s a mechanical means to rotate cylindrical vessels. They minimise handling, increase efficiency, and dramatically improve the quality of workmanship from welders of all skill levels. Redrock can supply conventional and self-aligning rotators to suit various sizes of weldments across a variety of sectors. Any steelworks with cylindrical vessels, be it small diameter piping to large industrial cylindrical vessels for windtower production, a rotator will be beneficial, sometimes a necessity. If the weldment is cylindrical, a rotator will make a huge difference to most welding processes including, SAW, TIG, MIG and ARC. 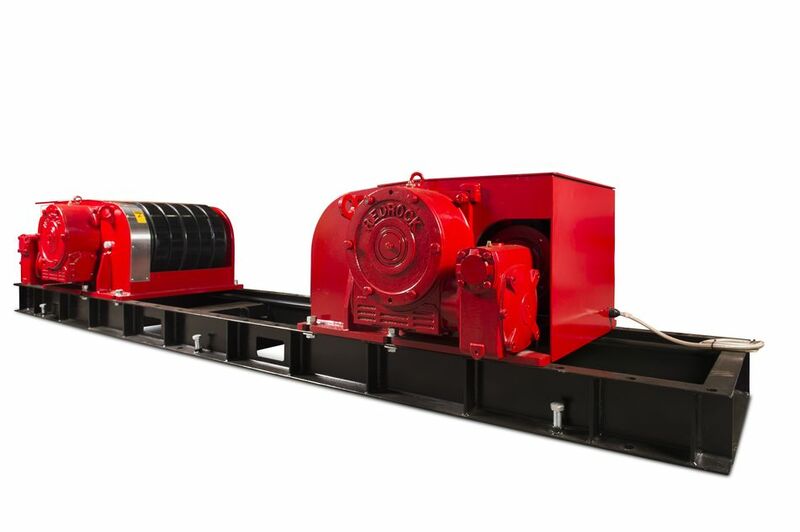 Our conventional rotators are suited to industrial weld operations requiring a higher load capacity up to 2000 tonnes. 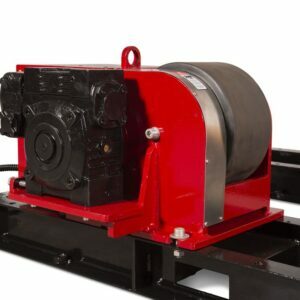 Redrock conventional rotators are suited to a wide range of fabrication shop setups. While not self-aligning, the vessel diameters can be adjusted manually with speed. 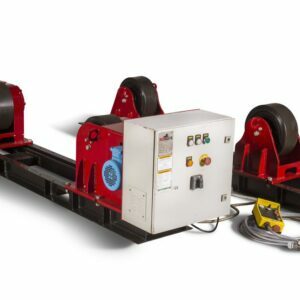 All our welding rotators use replaceable polyurethane tyres, mounted to a cast steel drums giving the units tremendous durability and superior traction. As standard with all our welding equipment, a low voltage remote-control pendant is included giving your operators full control over forward/reverse/stop/emergency stop and a potentiometer to vary the rotation speed. 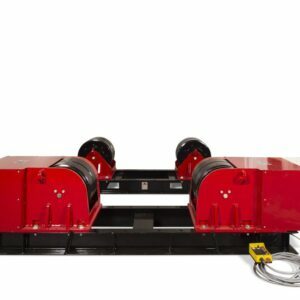 Redrock’s self-aligning welding rotators are robustly built with high load capacities going up to 500 tonnes. 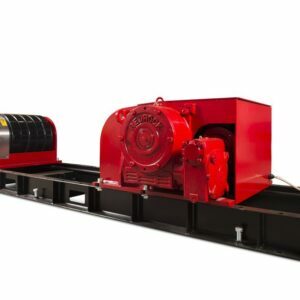 Our self-aligning rotators have a drive unit with motorised wheels and an idling unit allowing for free wheeling, making it easier to load vessels onto the rotator without damaging the drive unit. 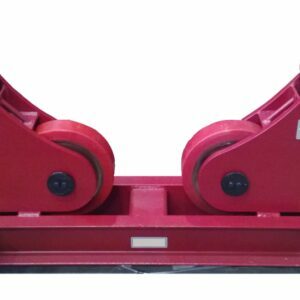 On our self-aligning welding rotators, the two rollers will adjust to accommodate the diameter of the vessel automatically. A range of specifications can be accommodated, including various vessel diameters and rotation speeds. Faster load time with mechanical drive, where the wheel brackets and the wheels will automatically align any size of cylindrical vessel. 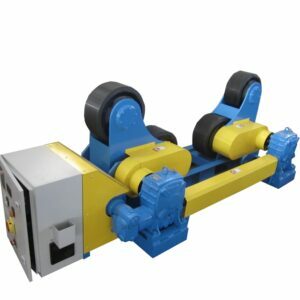 The top rollers on self-aligning rotators have clutches allowing the rollers to free wheel, minimising the risk of damaging the drive unit from improper loading techniques. 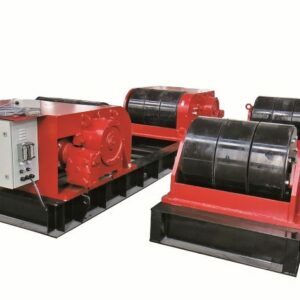 Four rollers instead of two giving you twice the sturdiness of conventional rotators. Self-aligning rotators are suited to a variety of applications including boilers, tanks, heat exchangers, barrels and pressure vessels. 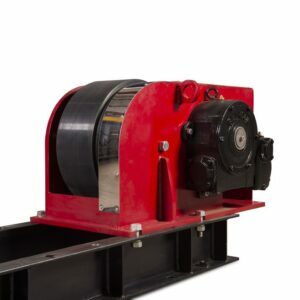 Conventional rotators are ideal for industrial weld operations involving larger vessels with thicker walls. 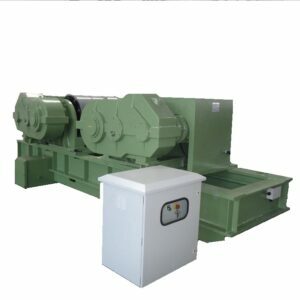 Various models for different load capacities. 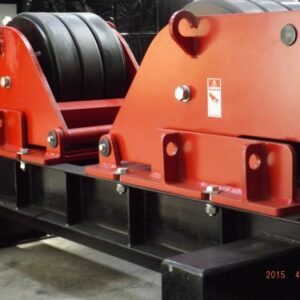 2000t conventional rotators and up to 500t self-aligning rotators. Steel drums provide maximum durability while the replaceable polyurethane tyres provide superior grip. Partner with industry leading weld automation experts. Our team are highly-skilled professionals and can advise on the right rotator to suit your needs best. 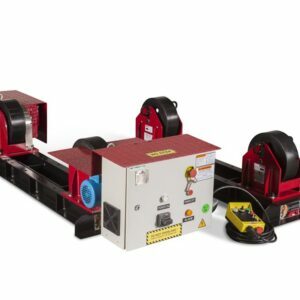 What weight of weldments do you need the rotator to handle? What turning speed do you need? What’s the largest diameter it needs to accommodate? 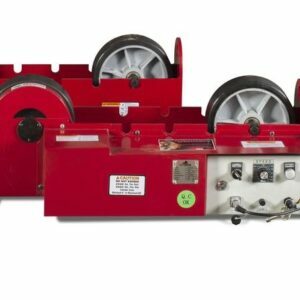 How many rollers will you need to accommodate the length of pipes and vessels you’ll be working on? SHORT TERM PROJECT? 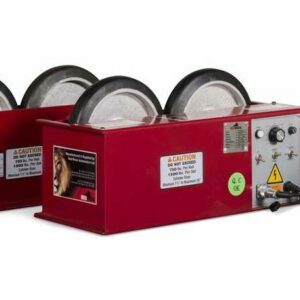 CONSIDER HIRING ONE OF OUR WELDING ROTATORS. Leave your information below and a member of the Redrock team will be in touch to give you more information about our equipment.